We’re in the local newspaper! Click the image to see the full article or read it below. 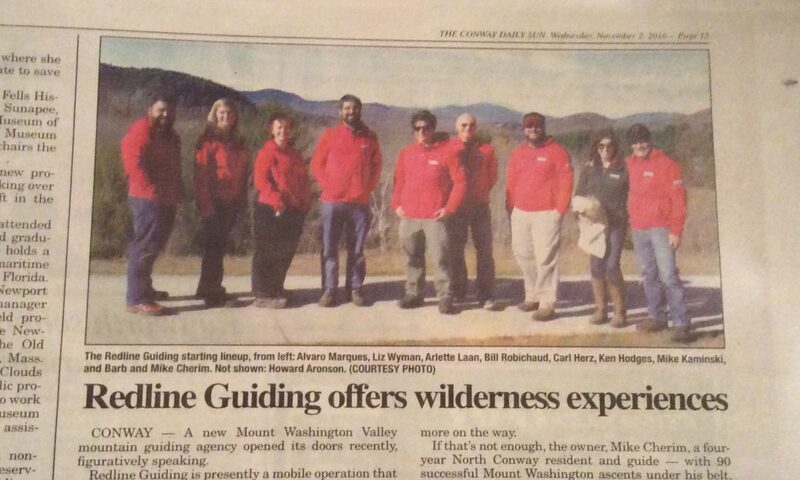 A new Mt Washington Valley mountain guiding agency opened its doors recently, figuratively speaking, that is. 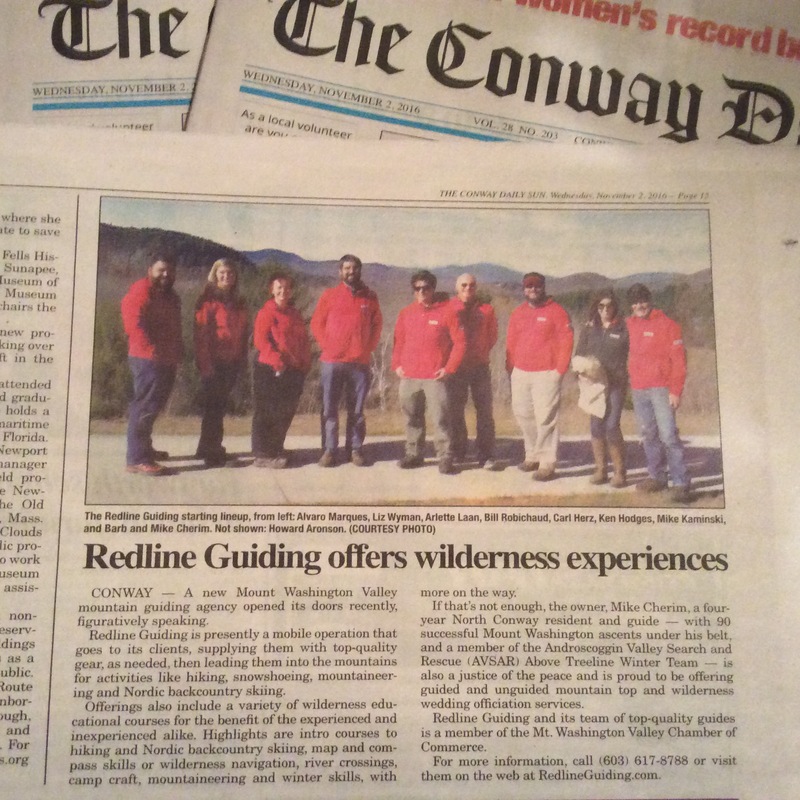 Introducing Redline Guiding, presently a mobile operation that goes to its clients, supplying them with top-quality gear, as needed, then leading them into the mountains for activities like hiking, snowshoeing, mountaineering, and Nordic backcountry skiing. Offerings include the aforementioned, plus a variety of wilderness educational courses for the benefit of the experienced and inexperienced, alike. Offerings such as intro courses to hiking and Nordic backcountry skiing, map and compass skills or wilderness navigation, river crossings, camp craft, mountaineering, winter skills, with more on the way. And if that’s not enough, the owner, Mike Cherim, a four-year North Conway resident and guide — with 90 successful Mt Washington ascents under his belt, and a member of the Androscoggin Valley Search And Rescue (AVSAR) Above Treeline Winter Team — is also a NH Justice of the Peace and is proud to be offering guided and unguided mountain top and wilderness wedding officiation services for the more adventurous among us.